Young hero Sundeep Kishan is awaiting the release of Krishna Vamsi’s high-voltage action entertainer Nakshatram. He also has Suseenthiran’s bilingual thriller C/O Surya and CV Kumar’s Maayavan ready for release. 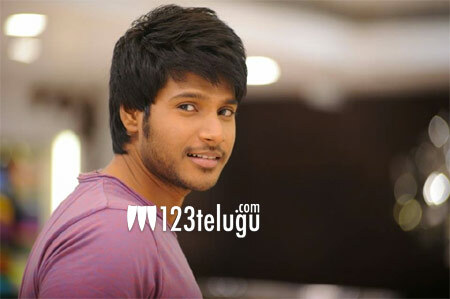 We had earlier reported that Sundeep had signed a film in Kittu Unnadu Jagratha director Vamsi Krishna’s direction. Produced by Rupesh D Gohil, this family entertainer will be launched on June 20. More details regarding the film’s cast and crew will be revealed soon. Currently, Sundeep is busy shooting for Bollywood director Kunal Kohli’s debut Telugu movie in London.